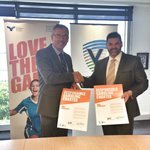 Cricket Victoria is the latest sporting group to say no to gambling sponsorships by signing the Victorian Responsible Gambling Foundation’s responsible gambling charter. On 8 December 2016, the Victorian Commission for Gambling and Liquor Regulation refused an application by Australian Leisure and Hospitality Group Pty Ltd to introduce 40 pokies at the Commercial Hotel in the City of Whittlesea. On 14 November 2016 the Victorian Commission for Gambling and Liquor Regulation heard an application from Melbourne Football Club Limited to increase the number of pokies at the Bentleigh club from 80 to 88. On 26 October 2016, the Victorian Commission for Gambling and Liquor Regulation heard an application from Warragul Sporting and Social Club Inc to increase the number of pokies at the Warragul Sporting & Social Club in the Shire of Baw Baw from 80 to 100. On 10 October 2016 the Victorian Commission for Gambling and Liquor Regulation heard an application from Collingwood Football Club Inc to increase the number of pokies at The Coach and Horses from 80 to 90. On 29 September 2016 the Victorian Commission for Gambling and Liquor Regulation heard an application from Bendigo District RSL Sub-Branch Inc to increase the number of pokies at the club from 81 to 93. 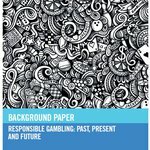 The foundation has released a new background paper on responsible gambling to coincide with Responsible Gambling Awareness Week. Melbourne Victory Football Club were one of the first elite sporting clubs to sign the Responsible Gambling Charter back in 2013. The club were trailblazers, recognising that betting had fundamentally changed the way fans were experiencing sport and taking the admirable step to forgo sponsorships with sports betting providers. The Springvale Indo-Chinese Mutual Association (SICMAA), in partnership with the Multicultural Centre for Women’s Health (MCWH), is holding three separate events during Responsible Gambling Awareness Week (17–23 October) to help raise awareness about the importance of gambling responsibly. Former NRL player and descendent of the Gamilaroi people, Ashley Gordon will share some important tips about what it means to gamble responsibly at a community bbq being held by the Gippsland and East Gippsland Aboriginal Cooperative (GEGAC). Young Gippsland apprentices, predominantly young men aged 16-35 will be a focus for the important messages and tips promoted during Responsible Gambling Awareness Week (17–23 October 2016). 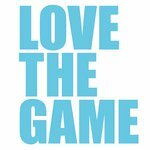 Parents are being urged to talk to teenage sports fans about the risks of gambling in a new campaign by the Victorian Responsible Gambling Foundation. The Victorian Civil and Administrative Tribunal (VCAT) has affirmed the decision made by the Victorian Commission for Gambling and Liquor Regulation to refuse an application by the Sporting Legends Club in Sale to install an additional six pokies at its clubrooms. On 5 July 2016, the Victorian Commission for Gambling and Liquor Regulation heard an application from Stawell Harness Racing Club Inc to increase the number of pokies at the club from 30 to 45. Tabcorp has released its 2016 Annual Report showing its results for 2015–16. Responsible Gambling Awareness Week is held annually to raise awareness about the importance of gambling responsibly and will run from 17–23 October 2016. Victoria spent $45 million, or 1.7 per cent, more on the pokies in 2015–2016 than during 2014–2015. On 17 June 2016, the Victorian Commission for Gambling and Liquor Regulation heard an application from the Warragul Country Club Inc to increase the number of pokies at the club from 60 to 80. The Victorian Responsible Gambling Foundation has announced additional funding to support the rollout of five new projects aimed at preventing gambling harm. The Victorian Commission for Gambling and Liquor Regulation has upgraded its interactive map to include hotels and clubs with pokies, as well as Keno and wagering outlets.